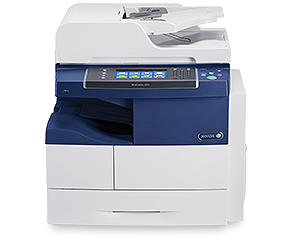 Xerox has recently announced their latest series of ConnectKey copiers, one of which is the WorkCentre 4265 – It is a 55 page per minute black and white copier, letter/legal. One of the cool things about the WorkCentre 4265 is the speed as well as the iPrint feature which makes printing on the iPad or iPhone super easy. Another great feature with the WorkCentre 4265 is the cloning feature. What this means is if you have 20 copiers to install, you can set up one really well and then if you download the clone file then you can upload it to the other 19 copiers. If your business needs a high speed black and white copier and scanning that will go through thousands of pages a month, give us a call and we can get you a quote.